Do you think about feeding your gut microbiome? Well if not, I’m back to connect the dots between your gut microbiome and your good health. We’ve all heard the expression, “You are what you eat”; however, within gut-based Functional Medicine, we say, “You are what you absorb from what you eat”. Your gut lining, needs to be healthy to allow the nutrients and plant bio-actives/phytochemicals to pass through the gut wall. If not, your genes won’t have any building blocks to work with to make you healthy. Furthermore, as the science unfolds on the gut microbiome we are quickly learning that what we feed our gut microbiome can signal our cells to produce better health. Yes, our gut microbiome is our BFF for good health! So, we need to re-phrase the expression above to “You are what you feed your gut microbiome”. Many people who suffer with health issues (i.e. autism, arthritis, asthma, cancer, eczema, anxiety/depression, diabetes, obesity, auto-immune diseases, cognitive decline or other inflammatory diseases) don’t even know that the root issue to their health problem may have originated in their gut. Functional medicine and naturopathic physicians often say about their patients’ chronic health problems that there is a “forest fire” (i.e., chronic low-grade inflammation) going on in their body but their patients don’t even know it all started at the intestinal firewall. Jeffrey Bland, PhD, founder of the Institute of Functional Medicine, has studied and written peer review articles on the influence of the gut and chronic disease for over forty years. He refers to the inner most layer of the gut lining as the Gut Mucosal “firewall”. Similar to a firewall purposely created in the forest to avoid a forest fire taking down the whole forest, if your intestinal firewall is not properly fed a healthy diet like the Mediterranean diet while seeding and feeding your friendly biomass in your gut, then a wide range of chronic diseases could be waiting to find you. Please read on. What is the Gut Mucosal Firewall? A Primer of the GI Track. 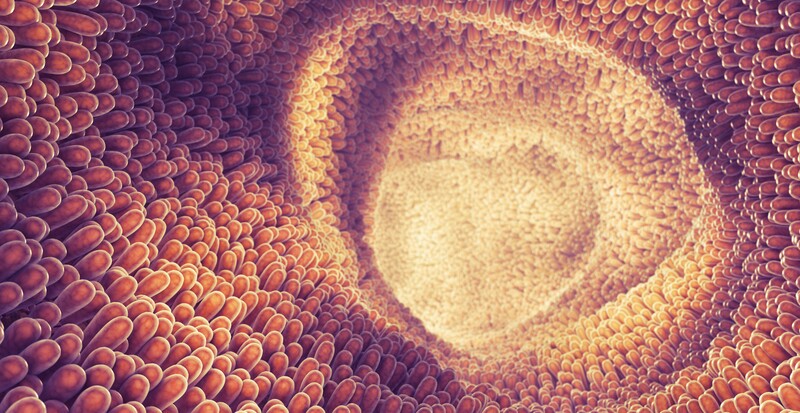 If you traveled down to your intestines with a high-powered microscope, you would see the lining of the small intestine’s wall composed of a single layer of extra-long cells that should look pumped-up and fit very tightly next to each other to create a “firewall”. To keep the cells tight with no holes in the firewall, it’s key to include foods rich in Vitamin C, zinc, L-glutamine and foods rich in polyphenols daily. 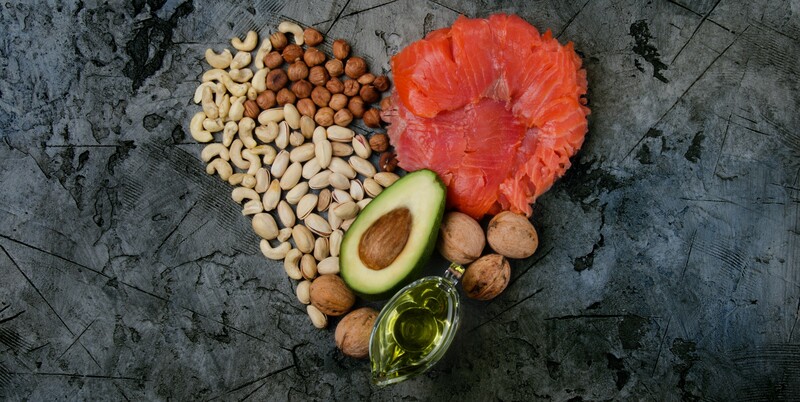 To keep the cell pumped up vs. atrophied (FYI: chronic NSAIDS use can cause our firewall cell’s to be atrophied), it’s important to include foods rich in omega 3 fatty acids daily. A Closer Look Behind the Firewall. Let’s pretend you breached the firewall with your microscope. You would see 70-80% of your ENTIRE immune system waiting to meet those molecules (i.e., nutrients, bioactives, plant pigments) or not-so-good molecules from your diet and the environment. The immune system waits for red alerts, just like our armed forces wait to protect us at a moment’s notice to take down a foe. It is there where the molecules from our diet and environment either “talk sweetly” to the cells’ genes in the firewall, which can then regulate our immune system, or they may “scream” at our genes and dys-regulate our immune system. Remember, it’s the immune system that either turns on or off inflammation. (To be gut honest, it’s really our fork that dictates whether we are going to regulate or dys-regulate our immune system.) But, if your firewall has holes too often our immune system receives countless red alerts and the inflammation war beyond your firewall is raging in your cells. Not All Firewalls Are Created Equal. The firewall in the small intestines looks and functions differently than the firewall in the large intestines. In the small intestines, the firewall serves highly specific functions to allow the food to become you. Physiologists use to think that our large intestine’s only use was mainly to absorb water and useless waste products, but oh-my – has our knowledge changed!! It’s down here in the large intestine that you will find the largest biomass of your gut microbiome. It’s here where the “heavy lifters” of great health lives…provided you seed and feed the gut microbiome. Remember last blog, I mentioned you can influence your gut bacteria “visitors” to stay longer if you feed them healthy foods? Our bacteria get more diversified and grow in numbers when you feed them prebiotic foods and plant fibers. These are like life rafts for your bacteria. When your bacteria down there start to chomp down on these plant fibers, they release some powerful end products called short chain fatty acids that get absorbed into your firewall and then the 21st century magical nutrition begins to take place in your biochemistry. The research on the gut microbiome is promising because not only can we mitigate an unnecessary immune battle, but it appears we may also wave a white flag to STOP the inflammation, which may be at the very root issue of a disease you are living with. … it’s time to turn your attention to feeding your gut microbiome with the following foods in the chart. Do you best to shore up your gut firewall so it doesn’t get breached. Seed and feed your gut microbiome. I’m in my kitchen conjuring up a delectable Cajun meal you won’t want to miss, so stay tuned for next week’s meal which tastes incredible and accomplishes the above two goals. I have Crohn’s disease. This is very interesting to me.